Water Scout offers a variety of irrigation services designed to provide landscape contractors, architects and managers of estate and commercial properties with solutions to demanding and sometimes complex issues. Have you been putting the finishing touches on your biggest project yet, and are ready to walk away but can’t because you haven’t received the sign off on the irrigation audit? If this sounds familiar, please contact us to discuss your needs. We would like to help reduce some of the pressure at the close of your next project. Tom can review the plans prior to project completion. This preliminary review means a faster turn-around with the audit, so that when you are ready Water Scout can accommodate your schedule. As a result, you will have the audit to submit to the agency before things heat up. “If I am called on to find a leak and it is determined to be in the landscape, I always refer my clients to Tom Campbell. He has been helping my clients for at least ten years. I know I can rely on Tom to be as thorough in his work as I am.” M. M. | President, Leak Detection Pros, Inc.
Do your clients have a major water issue that you are unsure how to resolve? Perhaps there are unexplained high water use issues that other professionals have not been able to resolve? Or your client’s water bills are much higher than expected now that they have installed new landscaping or moved to a new home? If these problems sound familiar, please contact us so we can discuss your situation and decide if the Water Scout Site Evaluation can be the next step to your water solution. Tom will visit your property to see first hand what the issues are. He will then perform the site evaluation and send you a zone-by-zone report of his findings and recommendations for improvement. As a result, you will have a clear picture of the efficiency of the irrigation system and ways to improve it. A thorough on-site visual inspection of all components, including an analysis of the uniformity and functionality of each zone. When possible the gallons per minute (GPM) readings for each zone. Written recommendations for how to improve the function of each zone, including, when appropriate, equipment upgrades. Discussion with Tom Campbell to review the written Site Evaluation and discuss potential solutions. Full cooperation with your current landscape team. Is it time for a client’s system to be upgraded to one that automatically adjusts water use based on the weather or soil moisture sensors? Have you had a client ever return home after a trip to find their landscape suffering? Or there was a mainline break that went undetected. Allow them to remotely monitor and adjust all on-site irrigation water. Take moisture readings and adjust water output. Report water storage tank levels. Alert the manager to irregularities in water use. 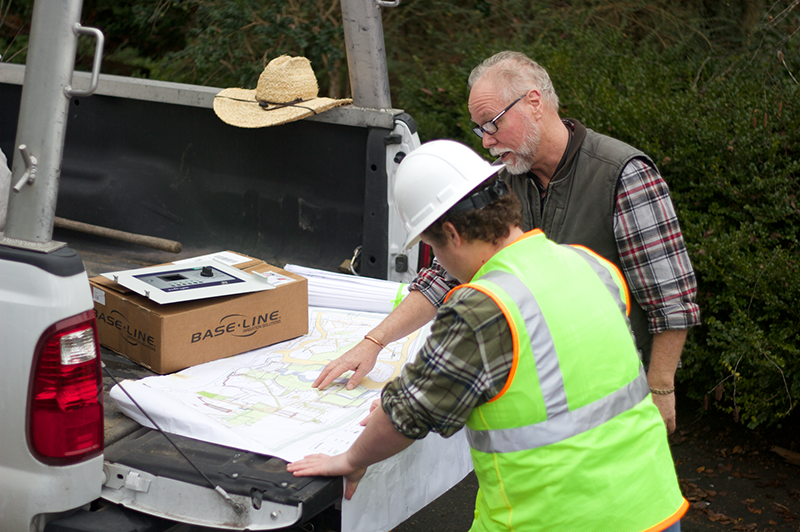 Installation includes training in remote water management software or, if they prefer, your client can hire Water Scout to provide On-Going Remote Water Management Services. As a result your client will reduce water management surprises that impact their lifestyle and eliminate costly mistakes by unskilled workers. Now that you have installed a remarkable state-of-the-art water management system for your client, who will be responsible for maximizing its functionality? If you have any of these concerns, call us today to discuss how the Water Scout Remote Water Management Service can take over water management responsibilities when your job is complete. As a result you can relax knowing that your client will have an expert using their new system to its maximum capabilities. Daily review of irrigation controller performance. Recording of daily water use so as not to exceed budget or tier parameters. Have you ever visited your client’s property and wasted a great deal of time because you were unfamiliar with their system? If you haven’t yet, we are sure you can imagine the amount of time that can be wasted while you learn your way around an unfamiliar property. The solution is a fully documented Irrigation System GPS Map. The result to both you and your client is increased efficiency. Future professionals new to the property will immediately know what equipment they have and where it is located. A site visit to mark all valve boxes, hose-bibs, points of connection and pumping system components. 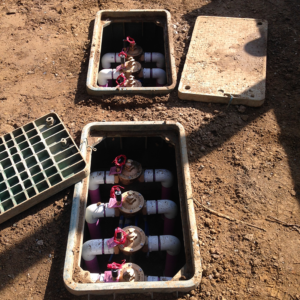 If requested, electrical pull boxes, septic system components and drains, etc. will be included. Written documentation that includes color-coded photos of each point and the makes and models of all equipment.